As I mentioned earlier, we’ve got an AR Drone to play with. One of the common mods that popped up on the internet were ways of extending the range on the AR Drone. It normally uses a local Wi-Fi connection to your phone or tablet for control and video signals. Many found this quite restrictive and have gone pretty far in extending that range. The first and easiest was just to set up a higher power Wi-Fi Bridge where you’ll be flying. The Drone only has about 15db of wi-fi magic in it, so anything stronger than that is an improvement. There were too many variations on this to delve into the details, but as you see, there’s not much too it. The second method is to completely replace the Wi-Fi control system with a nice R/C controller. This will greatly increase your range as well as give you extra channels for triggering different attachments (usually lights). I’ve seen two main methods used. One is called “MacGuyver mod”. This one is a plug and play kit that doesn’t seem to have much info along with it. The other is called “MiruMod” and the creator has shared all the information they can. You can find a parts breakdown as well as schematics, wiring diagrams, instructions, and software. [Miru] uses an Arduino Pro Mini or an Arduino Nano as a go-between from the receiver to the serial port on the AR Drone. You can see in the wiring diagram below that it is a fairly simple install, and all [miru] asks for is that maybe you donate some beer money if you appreciate his mod. My ford van is setup with a 75 foot collapsible mast for ham radio operations during emergencies (I’m in ARES). One of the radios at the top is a ubiqiti 1000mw access point on a 20db sector antenna. (Before you cry foul, as a HAM, I follow the rules, I keep it tuned to within the ERP limits.) My brother has one of those little AR drones, and it exhausts its power supply before it can fly out of range of the van. I don’t know much about drones, but I use a 2W ALFA usb attachment for wifi hacking. I am able to mod the driver to bypass the regulatory limitations. I am aware that this is not legal, I am curious though if it theoretically could be done with a drone, for educational purposes only, etc. Also, I se that some drones have 4g for video transmission, but couldn’t a drone also have signals for flying/range/control on a 4g connection much like I can remotely control my android? How about a wifi extender in one drone to control another drone? Make sure the repeaters are powered by HHO feed inverter-generators! You aint got no perpetual energy cred if there isn’t a HHO generator. I didn’t know the AR Drone had “Rouge mode” LOL. BTW, Ain’t that suppossed to land automatically or something when the signal is lost? :O major fail right there. Yeah, it doesn’t automatically land. That’s why I sold mine, I couldn’t safely go outside without it suddenly taking off at a massive acceleration directly upwards and then wandering around for the 3-4 minutes it took for the battery to die out. with some AI at the backbone , this could be a great surveillance drone or guard. to watch your house when your gone. Indeed, if the drone is powerful enough to hoist 20 or 30 meters of 14 gauge wire for tethered power transfer, it could stay up indefinitely. Right. One would need multiple drones and a charging station. They can then work shifts 24/7. You obviously don’t know much about R/C helicopters…. The motors are only designed to last around 15 minutes at a time. Even if you put heatsinks on them, they will overheat and catastrophically fail if you go over the time limit. So what kind of motors do the police/military use that can fly long term? or are they gas powered? I’ve only flown multirotors and never flown RC helicopters, but I can tell you that the motors and ESCs do _not_ continue to heat up in a prolonged flight. The same may not be true in a helicopter where the motor RPM is held constant (and high, I presume), but for my tricopter, hover happens at around 30% throttle. I wouldn’t be surprised if other multirotors perform similarly. From my experience the electric motors have a duration of 15 min max, with gas-it’s infinite. I think what tends to overheat is the battery and not the motors. The battery has to source a fairly hefty current for its size and that causes it to warm up. the increase in temperature raises the internal resistance, limiting the overall power output. Most RC rotor-craft that I’ve seen using LiPo batteries recommend short cool down period between flight and charging and charging and flight. Both these mods look to be the same thing. The plug and play kit looks loke the MiruMod pre assembled and offered with 2 different reciever options. you can see the arduino poking out at one end. Whats the power soeca on tgis thing? I mean,can it be powered by a reasonably big solar cell? I mean power specs of this thing? It’s powered by 10C 3S 1000mAh LiPos, that means the drone can draw up to 1A*10*11,1V = 111W from a 100g battery pack. I don’t think any solar panel would meet those specs (or will in the foreseeable future). There are alternative lipos available up to 2500mAh but hey are much heavier (I have a -not yet tried- 180g 2300mAh one) and bulkier. True, maybe not a general purpose photovoltaic panel, but apparently a specially tuned PV can be powered quite successfully with a laser. I see it’s also not a new concept to HaD. Heavier and bulkier would add more weight hense need to draw more power. Sounds like that would defeat the purpose of using a larger battery, right? Caleb – what setup did you do for a range extender? Did you use the Wi-fi bridge with a battery pack? 47°34’39.49″N, 8°54’42.65″E and the landing location was about 1 km to the south. Pull it apart then duct tape a cheesy child’s light sabre to it YAY! 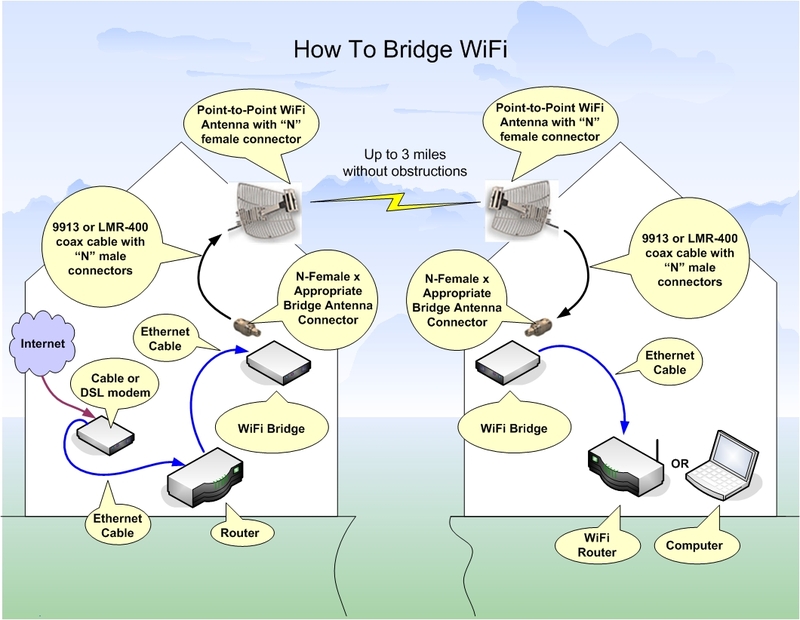 how can i setup wifi bridge? Great footage, but experiments on extending our range without putting an auto landing function on the vehicle for when it has lost signal and can determine it isn’t getting it back? Glad it’s a light weight vehicle…. I lost mine and have been looking for it forages. If yes, what to take care, what is different to DX7? RTF modules for DX8 available? Any ideas to extend the rage via replacing WiFi by a EDGE/3G connection? LOL…this is almost where the pursuit of extending range, began! There was a YT video about a year ago, which was showing a 3G dongle using the USB port on the AR Drone 2.0; but I believe the video’s been disputed as being fake….but since we have some ‘real’ solutions now (that don’t involve fighting ones way into the drone hardware/firmware); I’d expect a 3G/4G, solution was achievable, be it with a few extra grams? I know, I know – but any progress on that? But any progress? any out-of-the-box mod for that? Old thread… but. Why could you use the arduino and just strap a wifi hotspot to the drone. Then you could ssh into the arduino and control the drone from anywhere. Nah, it’s probably the wide angle lens the drone has. Build a drone that can carry a solar panel/rechargable lipo to it’s approx. max range at point A before returning for another one. Then fly back home, pick up another panel/lipo & go to point A where the previously charged lipo is, swap & continue to point B, drop off power pack 2 & return to A, hopefully charged & swap to return home to pick up a 3rd solar/lipo power pack to get to destination C.. and so on.